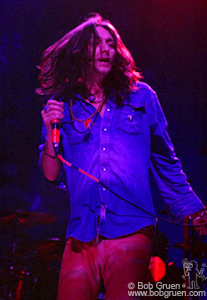 The Black Crowes, Oasis and Spacehog are touring together this Spring as the “Tour of Brotherly Love”. Each of the bands has a pair of singer and gituar player brothers. Each of the bands has their own unique sound but they work together well. 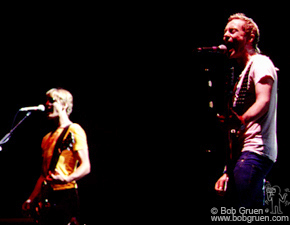 The two Spacehog brothers are English and so is all of Oasis, and The Black Crowes have recently been backing English guitar “God” Jimmy Page. I saw their show at the SNET Oakdale Theater in Wallingford, CT over the Memorial Day weekend, which was a rockin’ break for the fans. 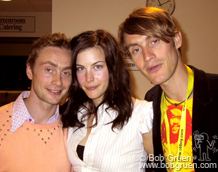 May 27 – Anthony and Royston sing Spacehog’s new song “I didn’t get paid, but at least I got laid”. 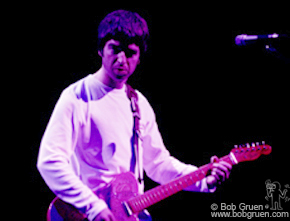 Noel Gallagher plays during Oasis’ set. 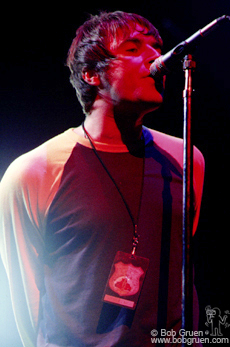 Liam sings Oasis songs in his inimitable style. 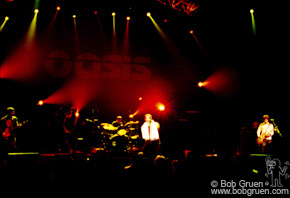 The biggest band in England for years now, Oasis is still building their American fan base. Chris hasn’t lost any of his energy since his marriage to young movie star Kate Hudson. 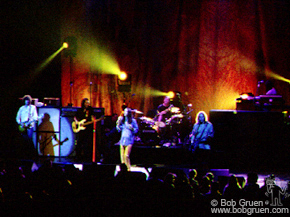 The Black Crowes play a soulful blend of Southern rock mixed with the more heavy sounds reminiscent of Led Zeppelin. 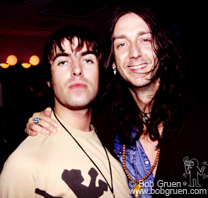 Liam Gallagher gets close to Chris Robinson.